This enhancer from the Palu collection by John Hardy can change the look of that classic chain necklace! 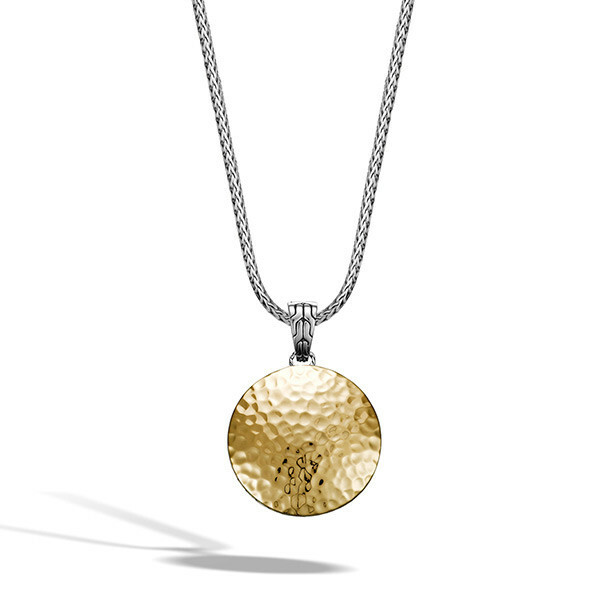 A 33.5mm disc is crafted from sterling silver with an 18kt gold surface. 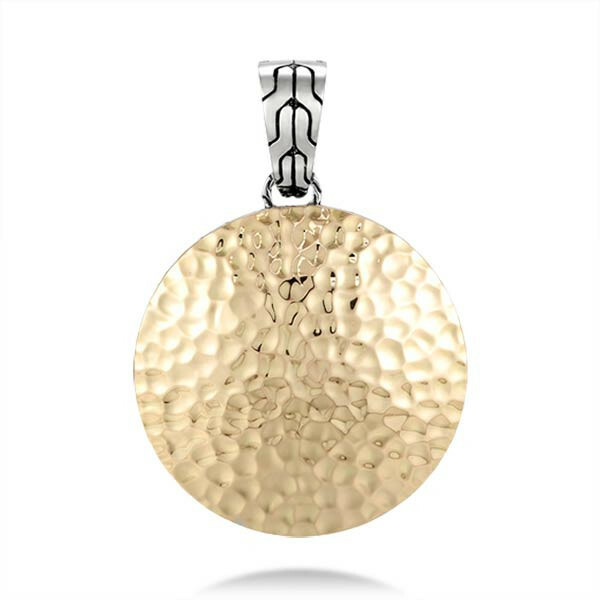 The gold surface of the disc has been gently hammered to create a rippled texture, and the classic chain motif has been carved around the edge of the disc. Pair this John Hardy enhancer with a John Hardy classic chain for a soft, two-toned look that is stunning!